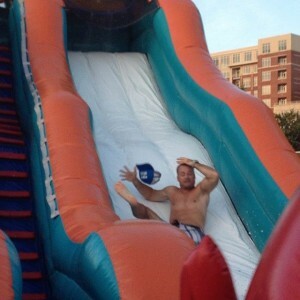 Hold on to your hats…the Summer Bash is coming!! Love this post from CrossFit Invictus…a must read! There are a couple rules of thumb when scaling weight for metcons. But before getting into those, I just want to put it out there that if you still learning movements – especially Olympic lifting – or are focusing on technique, then doing them for time usually isn’t the best idea because all that you’ve learned and the technique that you’re practicing goes out the window when you are racing the clock. If this sounds like you, then I’d recommend doing your Oly work in Part A or in warm-ups for skill work so that you can take the time to focus on proper technique and mechanics. You can always substitute kettlebell swings, box jumps or something else explosive in metcons for these movements. Or switch over to our Fitness Part B, which has some great options as well. If you decide that doing the barbell movements for time is safe and is going to help you reach your goals and need to scale the prescribed weight, then here’s the rules of thumb I’d recommend. 5 or fewer reps – 80-85% of your 1RM and these will likely not be touch-and-go reps unless you are extremely proficient with your barbell cycling. Rather, drop the bar each time and reset. 6-10 reps – 75-80% of your 1RM shooting for clusters of 2-3 at a time, if possible and safe. Some people may be able to do larger clusters but again, that will depend on your proficiency with barbell cycling.